I don’t think I’ve ever written about the great cork-screwcap debate without dithering somewhat. Probably I could sum up my attitude by saying that if I were buying Sadie or Boekenhoutskloof wines and was offered the choice of the wine under screwcap or (good quality) cork, I’d go for the latter – the natural ones incomparably more beautiful than the agglomerates. But I’d simultaneously send up a silent prayer that in x years I wouldn’t regret it. Buying a cheap wine, I’d go for screwcap or a good agglomerate. In fact, with those two grand producers I don’t have the choice. 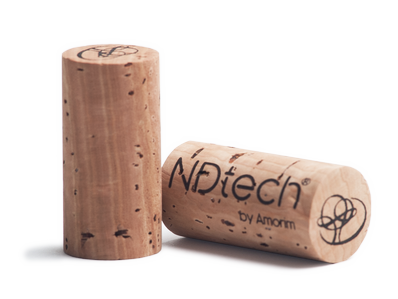 Boekenhoutskloof has fully committed to Amorim’s NDtech cork – which the producer says is “the world’s first natural cork with a non-detectable TCA guarantee”, making Boekenhoutskloof by far the largest local user of the product. It’s expensive – like the Cork Supply DS 100 (also individually tested) which Eben Sadie is now using for all his wines. 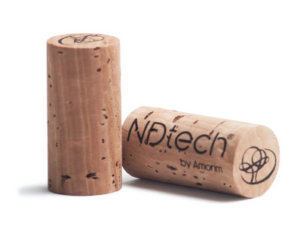 Marc Kent says he’s paying about R18 for the longest NDtech corks he uses, a few rands more than he used to spend, and about R11 for the shorter ones (similar technology) used on big-volume Chocolate Block. Marc and Eben think it worth the price – on behalf of their consumers who are paying, of course. In fact, R18 would hardly be a relevant contributor to the selling price of Columella or Porseleinberg, though an expensive cork is a more significant component of the (mostly) exceptionally good value Sadie Ouwingerdreeks. And if it means I don’t need to send up that little prayer, so do I think it worth it. If I don’t need to worry about TCA taint, however, I suppose there’s still the matter of random oxidation…. This tired (and, I’d say never to be resolved) closure question has been on my mind recently, for two reasons. Firstly, in tasting Platter samples this year, I’ve have five badly tainted natural cork-closed bottles, and one other bottle with undefined problems (in all cases the second sample was fine). That’s out of a total of somewhere between 350 and 400 bottles so far – though I haven’t counted how many of the total were closed with natural cork, how many with good agglomerate corks (like Diam), how many with screwcaps. Let’s take an informed and generous guess and say five very obviously tainted out of 220 – that’s a pretty bad average. This admittedly seems anomalous to me, going by my wider experience; just bad luck, perhaps. I can’t say whether all the guilty corks were bottom- end ones (costing as little as R2 each); not in all cases, I’m sure, as these were mostly serious producers. But I would certainly endorse the idea that if you can’t afford to use good quality natural corks that minimise the risk – then its unquestionably time to turn to agglomerates or screwcaps. With the latter, incidentally, please make them the prettier, slightly heavier and less tinkly ones with the internal thread. The second reason for my wonderings is what I drank when I was given lunch this last week at La Tête in Cape Town (a fine restaurant with a good winelist, but inexplicably nasty, cheap wineglasses – only one step up from the notorious Paris goblet), by Pierre Rabie of Giant Periwinkle. Pierre makes one of the few sauvignon blancs. local or foreign, that I drink with real pleasure – his mildly oaked Blanc Fumé from Elim (the sauvignons I most like are almost invariably wooded). Pierre wanted to show me two different bottlings of the maiden 2013, one under cork, the other screwcapped. It hadn’t been an experiment, it had been something forced upon him, but the comparison was inevitably interesting. In brief, the cork-closed wine was surprisingly obviously more developed – the colour was darker, the aromas and flavours further down the road to maturity (though thankfully none of that pungent asparagus). The screwcapped wine still showed more primary fruit – notably those subtle, cool-climate blackcurranty, even petrolly notes. Though the cork-closed wine did develop greater and more complex fruitiness in the glass. Both were rather lovely, but I preferred the cork-closed Blanc Fumé – precisely because it was more developed. In a few years’ time, however, when the screwcapped wine catches up (I suppose it will), will it be even better for its slower development? And will the other one be starting its downhill march well ahead? Or will the screwcapped one be somehow stunted? Who knows. Unfortunately, Pierre has only one more bottle of each, but they’ll make for another fascinating comparison one day. So many questions; so much for me to dither about – though Pierre Rabie is not dithering, but resolutely moving to screwcaps for his Giant Periwinkle range.